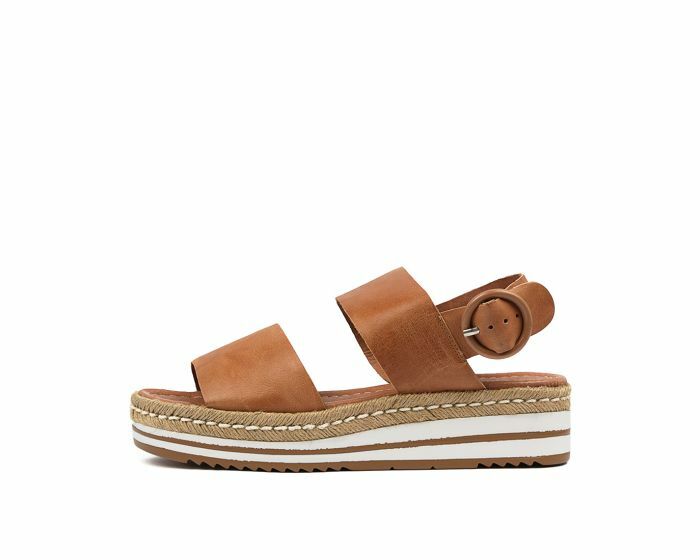 Elevate your casual looks with the platform ATHA sandal. Set on a striking striped sole that's decorated with jute rope trim, this design will bring summer vibes to all your ensembles. The soft leather straps glide over the foot with ease and offer an adjustable fit to ensure ultimate comfort. Whether you're off to the beach or hitting the city streets, you'll enjoy the stylish wearability of this shoe!